Version 7 SP1, 8.1 and 10, all in 64 bits only. AAX Native & AAX AudioSuite require Pro Tools 11 or later. All versions from Yosemite 10.10.5 to latest (Compatible with previous versions but not supported). Two of the most important factors for taking control of the input signal, both for studio and live sound. 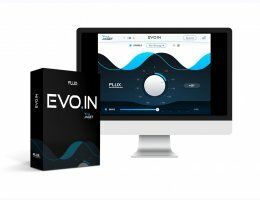 EVO IN provides a Unique, Precise, Arbitrary and Linear Phase Rotation of the signal, to accomplish the very same phenomena as when physically moving the microphone, and a soft saturation to attain roundness and warmth, restoring and maintaining the vitality of the sound without any audible distortion. 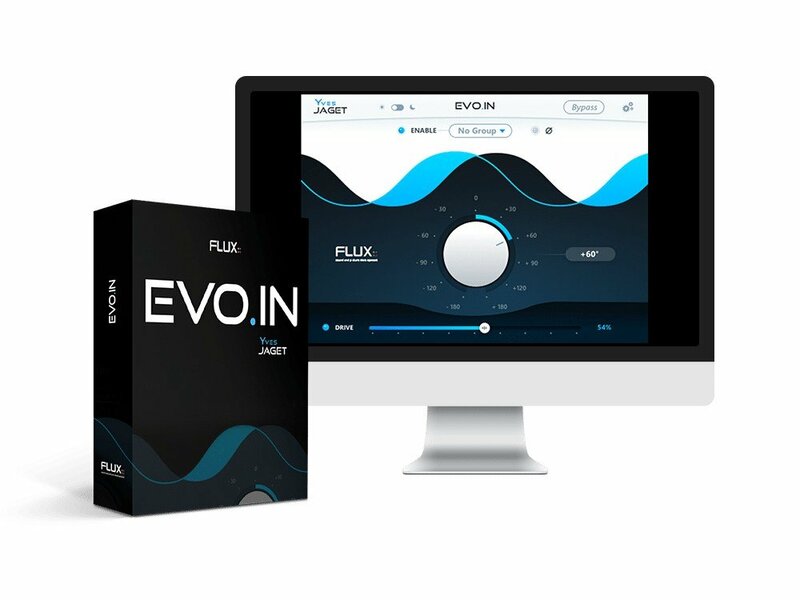 EVO IN is an extracted sub-module of the bigger EVO CHANNEL plug-in, available for purchase. Having full control over the microphone Phase is universal, and one of the most crucial parameters to take into account both for studio and live sound. In addition to the classic electrical polarity inverter, EVO IN provides a Unique, Precise, Arbitrary and Linear Phase Rotation of the signal, to accomplish the very same phenomena as when physically moving the microphone, without adding any latency. This allows for correction of the Phase when recording a sound source using multiple microphones, like a drum kit or a guitar amplifier, eliminating timing problems that could be smearing the clarity of the sound or the mix. "The art of using multiple microphones on one and the same sound source"
With EVO IN it’s really easy to Phase Align a multi-microphone or live recording where multiple microphones were used at the same time. Simply insert EVO IN and enable Phase on all of the recorded tracks, then assign the same Group Number on all of the EVO IN instances, which makes it possible to enable and disable Phase for all of the included tracks by simply switching Phase on/off in only one of the tracks in the Group. Now use the Phase slider on each track, listen and verify by switching Phase on and off for the group, and tweak until you have full control over the Phase and everything sounds tight and aligned. The EVO IN Drive adds a soft saturation to attain roundness and warmth, restoring and maintaining the vitality of the sound, by generating harmonics important for the constancy of the sound without any audible distortion, on all types of sounds and instruments. The visual display mode of the graphical user interface in EVO IN can be set to a Dark or a Light mode. The Dark mode is created to provide an option for situations like Live and Theater performances where discretion can be of real importance.